Black Rifle Coffee Company, from the heart of Salt Lake City, UT, is May’s Powerblanket Power Manufacturer. We have featured companies in the past who manufacture taffy, rustic doors that double as art, composites and custom bikes. Now the spotlight shines on a company creating the bitter brilliance that most people rely on to get them out of bed every morning. Coffee. Black Rifle Coffee Company is a veteran-owned coffee company that produces some of the highest quality coffee ever made. CEO and founder, Evan Hafer, started BRCC in order to provide a high-quality roast to the pro-2A and veteran communities. He worked between deployments to create the perfect roast and also improve his firearm skills. After over a decade of researching, refining and drinking coffee, he decided to combine his two passions. Thus, Black Rifle Coffee Company was born and coffee has never been the same. “I take pride in the coffee we roast, the veterans we employ, and the causes we support,” said Evan Hafer, CEO. Over the past three years, Black Rifle Coffee has grown from a basement-run business to a 30 million dollar company. How? BRCC not only takes special interest in the quality of the coffee they roast, but also to their customer base. They have expanded their roasting and distribution operations in order to be closer to the customers. This way they ensure high quality, roasted-to-order coffee that is delivered as quickly as possible. BRCC customers enjoy the freshest brew possible. BRCC has every kind of roast, from light roast to extra dark and even cold brews. Coffee is not this company’s only priority. At Black Rifle, they strongly focus on supporting veteran employment and helping veteran entrepreneurs succeed. Mohammad Wali Tasleem and Evan (CEO) met years ago in Afghanistan where they worked together for over a decade. When Wali moved to the United States, he went from being a dedicated Commando to a gas station cashier working very hard to support his family of seven. Not long after, Evan heard about Wali’s situation and that Wali was coming to Salt Lake City for a tour. Evan knew before Wali got there that he was going to offer him a job. THey welcomed Wali with a steady income and a fully furnished house. From shirts, hats, and hoodies to mugs, tumblers, and top-notch coffee makers, Black Rifle Coffee Company is going above and beyond to guarantee their customers have everything they need to enjoy the perfect brew. All of their shirts are printed in-house to maintain quality product outcome. BRCC produces a publication called Coffee or Die Magazine where they post articles that are “rich with content”. Marty Skuvland Jr., executive editor of Coffee or Die Magazine, guarantees that the stories in this magazine are “original, compelling and well-written”. When reading Black Rifle’s online magazine, the reader will enjoy interesting and honest stories. BRCC is all about teamwork. When it comes to building a strong and driven environment, Black Rifle suggests, “Build a team of leaders in their specific expertise, and find mentors who are willing to help you succeed and charge forward without fear.”. So far, that seems to be working very well for them as they continue to grow as more than just a coffee roasting company. Not only does Black Rifle earn this award because of their manufacturing abilities, but also because of the amazing culture they have and continue to create. Fezzari saw that buying a good bike at a good value was an ordeal. Chris Washburn, Fezzari founder, repeatedly saw that people were improperly fit for their bike, or simply riding a bike that was the wrong size altogether for years without even knowing it. The industry was in desperate need of change. In April, Jordan Washburn, Fezzari Sales/Marketing Experience Engineer, shared some insight into how Fezzari addressed this issue within the bicycle industry and what qualities make this Utah bike manufacturer a power manufacturer. Active, passionate people excited to help others experience and love cycling make up the Fezzari team. Based in the heart of some of the best biking in the world, from the Utah slickrock trails in Moab to the pine-filled peaks in the Wasatch Mountains, the team actively rides the trails and roads. Fezzari supports biking, adventures, the outdoors, and healthy lifestyles. Making the world a healthier place through fitness, fun, socialization, healthy living, and getting back to nature is a major focus. They support individuals and people who push their limits and overcome obstacles to achieve their goals, and are an active supporter of grassroots biking clubs, like high school biking leagues. Fezzari wasn’t founded by a Tour de France champion or a massive company. Chris Washburn was a successful attorney and businessman, but was traveling non-stop. He missed his kids’ soccer games and family time. One day he said, “There’s got to be more to life than this.” He stopped everything and changed course, going back to one of his passions and with the desire to have a positive impact on the world. He started Fezzari in his garage with the vision that quality and experience come first. It has quietly grown to become one of the largest rider-direct bicycle brands. Fezzari made it personal. The rider comes first. With the Fezzari experience, every bike is custom built and personally fit to each rider’s body measurements and riding style. Fezzari also decided to sell rider-direct (consumer-direct) to ensure the best service, quality, and attention to detail, and then passing the savings on to the rider. “Once you own a Fezzari, you are part of the family.” From choosing the right bike with the support of their expert team, to custom building the bike to each rider’s measurements, Fezzari makes satisfaction a number one priority. They also provide post-sale support with the No Risk Just Ride Guarantee and Lifetime Warranty. Fezzari is excited about wo new carbon bikes that will launch within the next couple of months that went through this exact process over the course of the last two years! The key to maintaining and evolving in the industry is to make sure Fezzari products are always evolving. Luckily, Fezzari was ahead of the curve when it comes to selling consumer-direct, because many have followed their lead. But in an age where other companies are now jumping on board, they distinguish themselves by offering a complete experience that no other company can touch through programs such as: best-in-class bikes, customer service, Love it or Return it Guarantee, and Lifetime Warranty on all frames. . Fezzari strives to make the buying experience as seamless as possible and provides bikes that riders will enjoy for life. Fezzari has received praise and great reviews from industry experts over the years, which has only fueled their growth and popularity. More importantly however, they pride themselves on the great reviews they get from customers, that’s what drives and motivates Fezzari. Fezzari Bicycles is our fourth winner of the Power Manufacturer of the Month Award. Check out some of our other winners for great examples of the manufacturing culture and diversity we have here in the State of Utah. Have a small manufacturing company in mind that you think would qualify as a Power Manufacturer? Let us know in the comments! 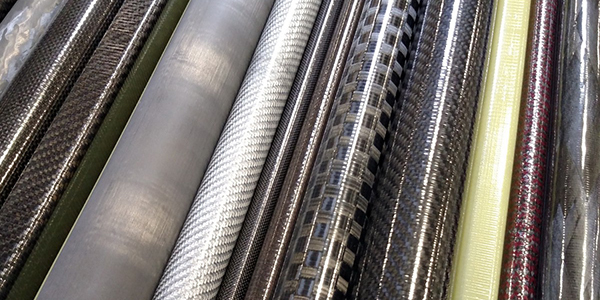 From taffy to custom barn doors, we now move on to the world of composites. Manufacturing is a broad and diverse industry, and through the Power Manufacturing Award, we hope to represent the many different industries that demonstrate manufacturing excellence. Rock West Composites, our Power Manufacturer of the Month for March, operates from a 66,000 sq. ft. office/manufacturing facility located in West Jordan, Utah. Rock West fabricates stock and custom composite tubes, plates, rods, angles, shapes, and connectors in addition to offering a variety of complementary products. They are a full-service supplier for composite products. Rock West offers services from initial engineering and product development to prototyping to low and high volume production. Rock West manufactures products made from advanced composite materials such as carbon fiber, fiberglass, and aramids and have expertise in every imaginable composite fabrication process, including but not limited to roll wrapping, filament winding, bladder molding, silicone expansion molding, and vacuum bagging. Their highly experienced and entrepreneurial team is growing fast, and yet is still small enough to be nimble and maintain streamlined cost structures. Rock West’s motto is “Aerospace expertise. Commercial pricing.” They are proud to deliver daily on that motto. Rock West is employee-owned, is self-funded, and has been growing at over a 20% year-over-year compounded growth rate. They re-invest in the business each year by expanding, purchasing new equipment, and hiring new talent to make sure they stay on the growth curve. Rock West is an industry leader because of their custom work, and they also have a thriving Ecommerce business selling manufactured product and other complementary merchandise: tubes, plates, panels, materials and manufacturing supplies. Industries such as aerospace and defense, industrial, scientific, oil and gas, consumer products and sporting goods all benefit from Rock West products. They are proud to be AS9100D / ISO 9001:2015 certified. Rock West CEO, Jim Gormican said, “Make sure you have a product that is differentiated in the marketplace. Hire great people and reward them for their performance. Monitor orders, sales and profit monthly and adjust as needed. Focus on innovation and solving your customers’ problems.” This is great advice for anyone looking to find success–products and people are what make manufacturing happen and solving problems makes customers happy. In addition to Rock West Composites in Utah, they have a composites manufacturing facility in San Diego. Rock West Solutions in Santa Barbara, CA, develops high-fidelity sensor systems. 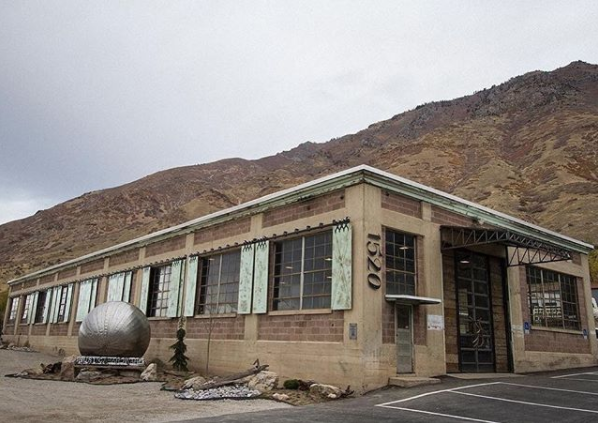 Rustica Hardware, of Springville, UT–the Art City, is our featured Power Manufacturer for February. Rustica is the second manufacturer to win the Power Manufacturer of the Month Award by Powerblanket. Although they seem to have little in common with our first winner, Taffy Town, Rustica Hardware shows that manufacturing is not a stereotypical industry. We started this campaign to spread the word about the manufacturing industry and the businesses who are making an impact in it, regardless of the specific industry or business model. Rustica Hardware is definitely making an impact, and are doing some very exciting things to set them apart as a Power Manufacturer. Like many companies, Rustica Hardware began with a wish and a dream. The founders, Kate and Paul Alan, loved cabins and rustic furniture and decor. As they created and explored their options, they found that beautiful doors and hardware were the niche that fueled their fire. Eleven years from it’s conception, Rustica Hardware is a thriving manufacturing business with a very bright future. Ben Lewis, Chief Marketing Officer, spent some time helping us to become more familiar with Rustica Hardware and their specific vision. If you were to walk into any mill or metal shop typically they will tell you, “We make doors, cabinets, hardware, etc.” That is the product base at Rustica; however, if you were to ask what they do, they would say, “We make functional art that brings soul to people’s living spaces.” This one-liner puts into perspective how they are different and reminds them why they are successful. They envision, create, and manufacture functional art, not doors. So if the product prepared for shipping isn’t inspiring, it doesn’t ship. Rustica Hardware promises quality, speed, and an artistic aesthetic with every single product–that’s what makes them different. An idea that they have built their facility around is “mass customization.” Because they offer so many different options and to ensure the product will bring soul to the intended living space, they had to create a machine unlike any other in the market to accommodate totally custom requests with short lead times. 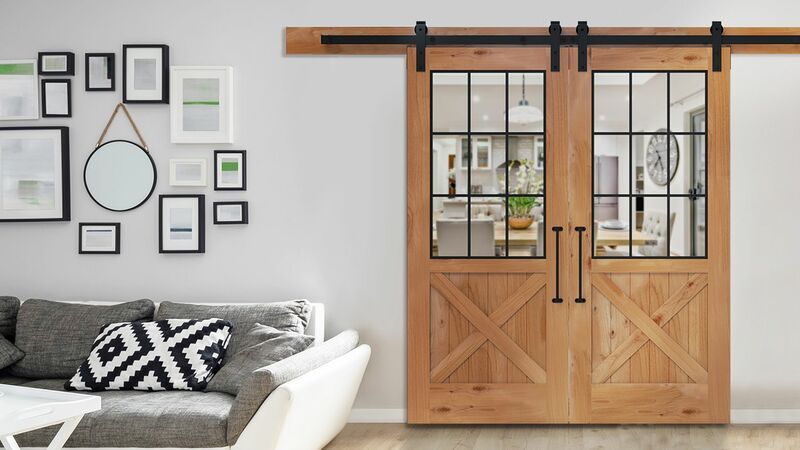 “We will proudly turn around a totally custom door in two-three weeks, and a totally custom hardware set in just three-five business days,” said Lewis. The facility’s layout accommodates huge quantities of this speedy customization every single day, which is something they are very proud of. Their approach to business, creation, and manufacturing really hasn’t changed much since they began. 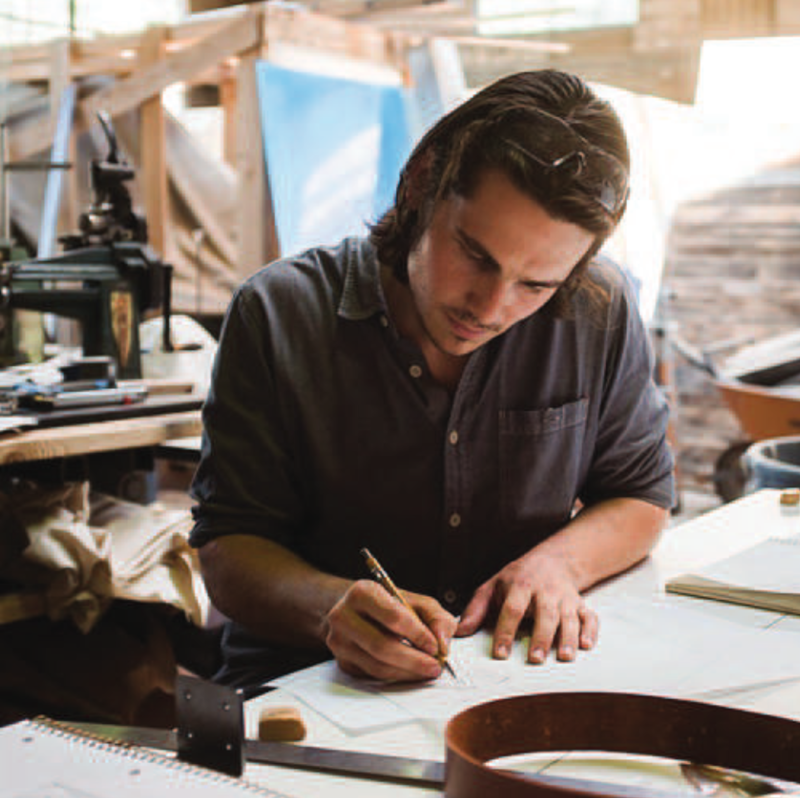 Their primary focus has always been to create products that move and inspire people. The only difference now is that they have expanded to meet the huge demand for their products. Moreover, they value their people and have scaled up with the most talented people in the industry to ensure they can create products quickly and of the highest quality imaginable. Rustica Hardware has received numerous trade/home show awards. They are a Utah “Best in State” company for the door and hardware industry. They have been honored as as Best of Houzz and many others. On top of that, their products have appeared on many home improvement shows featured on HGTV, DIY network, and FYI. Their products have also made the big screen as parts of sets for major motion pictures. Introducing the first ever Power Manufacturing Award from Powerblanket. Here at Powerblanket, we are passionate about a lot of things, but the one thing we are most passionate about is manufacturing. We love it. And, it just so happens that we are very good at it. After years of hard work, failure, success, and industry recognition, we have learned just how important the manufacturing industry is to not only the economy at all levels, but the quality of everyday life. With that, we believe that it is important to spread the word about the power of small business, manufacturing, and the dedication that drives this industry that makes the world go ’round. So each month, we will be spotlighting a manufacturer who is mastering the principles and processes that makes manufacturing so great. We encourage everyone to support these businesses that help create jobs, make everyday life just a little better, and inspire future generations to carry on the mantle small business and manufacturing. So for the inaugural Power Manufacturing Award, we’d like to introduce you to Taffy Town. Taffy Town, formerly Glade Candy Company, started as a means to raise supplemental funds following the birth of founder James Vernon Glade’s second child. Just a few months from those first candies, James left mining and began delivering candy by bike to several accounts. Little did he know, the pocket change used to buy the ingredients for some peppermint chews would blossom into a company that is now over 100 years old. Four generations, two names, and many candies later, Taffy Town has established itself as a premier purveyor of taffy, offering over 70+ different flavors. In 2016 Taffy Town was awarded UMA’s Manufacturer of the Year award. In this same year the company moved into its new 43,000 square foot facility in West Jordan, UT. There the company manages around 50 employees and produces over 20,000 pounds of taffy a day. Taffy Town distributes in all 50 states and internationally. Taffy Town does not use the traditional taffy-pulling process that some may remember seeing in store windows. Instead, they use a whipping process and 24 hour-long batch conditioning process to produce a soft texture taffy that melts in your mouth. Their products contain no peanuts and no tree nuts, and they are gluten free and kosher dairy. Powerblanket is excited to honor Taffy Town as the January 2018 Power Manufacturer. They are a fantastic example of manufacturing excellence demonstrated throughout their four generations of ownership. When it comes to winter time, many people think of the holidays and the magical atmosphere that accompanies snow. For others, it is an inconvenience that needs to cease as quickly as possible. One thing that we can all agree on is that slipping and falling is no fun, at least for you. Now watching others do it is another story. As long as no one gets seriously injured we can all sit back, enjoy the show, and thank the gods of winter for video cameras. Ladies and gentlemen, the next Steph Curry. Can we get a guard for the crossing guard? Such a great ‘turtle on its back impression’. Get that man a prize! This one is actually a bit graceful, and I hope the gentlemen behind her rushed to her aid. Sometimes you just gotta take a moment. Points for shovel throw and distance. Losing groceries on top of humiliation makes for a bad day. We’ve all had one of those cringe-worthy moments where you hope no one was around to see it, much less record it. Navigate the slippery slope with safety. We wish you the best as temperature drops. In the world of growing technologies, the phrase “Internet of Things” has garnered quite the buzz. Put simply, the Internet of Things, or “IoT”, is the use of the internet to connect objects and enable them to send and receive data. IoT has the potential to connect anything with an on switch to the internet (toasters, large-scale production machinery, automotives, etc.) as well as specific parts of machines such as airplane engines or oil rig drills. The Internet of Things allows these objects or components to share data which is sent to a storage cloud and shared with users via smartphone, tablet, or computer. The application of IoT is nearly endless. Smart homes, smart cities, and self-driving cars are just a few of the developing IoT technologies expected to revolutionize our day-to-day tasks. When it comes to industrial business, Industrial Internet of Things (IIoT) is one of the most notable disruptive trends. According to McKensy, Industrial Internet of Things will have an economic impact of up to $6.2 trillion by the year 2025 and has the potential to drive operating costs across several industries. Industrial IoT applications include machine to machine (M2M) communications for machine auto-diagnosis, indoor air quality control at chemical plants, and the temperature monitoring of storage containers containing sensitive materials, just to name a few. The benefits of the utilization of Industrial IoT are compelling and countless. Internet of Things technology allows users to integrate and utilize data from different sources (humans, machines, parts). This data can provide valuable new insights to drive smarter, faster business decisions. For example, real-time production data may reveal additional capacity for increased production. Data collected for Industrial IoT can significantly increase efficiency and productivity, decrease production costs, and improve safety by providing data relevant to predictive maintenance. Additionally, Industrial IoT simplifies day-to-day operations by putting access to any and all industry machines and technologies at a user’s fingertips. The Beacon Wifi Temperature Monitor is an example of an Industrial IoT device that simplifies day-to-day tasks and provides valuable data gathered from multiple temperature-control products, all at your fingertips. The Beacon Wifi Temperature Monitor allows users to monitor and control Powerblanket products (or any other device that would benefit from temperature control) from a smartphone or computer. More importantly, it allows users to receive text, email or push notifications when the temperature goes outside the specified limits, so users can set the temperature and walk away with complete peace of mind. If you are interested in integrating IoT technology into your industrial business, The Beacon Wifi Temperature Monitor is an excellent place to start. When it comes to commercial snow removal, proactive, preventative planning is the best way to go. In the words of Benjamin Franklin, “ An ounce of prevention is worth a pound of cure”. Last-minute scrambling to remove snow and ice is chaotic and can be unnecessarily time-consuming and expensive. Additionally, a reactive approach to snow removal leads to excessive use of snow and ice melting agents including rock salt and other chemicals that are harmful to concrete, roadways, and the environment. Preventative snow and ice control will also significantly reduce the risk of personal injury and damage to property. This includes damage to property caused by icy driveways, personal injury from slip and fall accidents, accidents that occur from snow or ice falling off rooftops, and damage or injury resulting from falling tree branches. Before establishing a snow and ice removal plan for your commercial property, it’s important to familiarize yourself with the snow and ice removal laws for your municipality and city. Laws vary from state to state and your snow and ice control plan will need to address these laws. Additionally, you will want to ensure you are insured in case a litigation does arise. Some commercial property owners or managers may wish to partner with professional snow and ice removal services. If this is the route you choose to go, begin looking for a contractor as early as possible, near the end of summer or beginning of fall. Make certain that your chosen contractor has the necessary tools, staff, insurance, and availability to meet your needs. When constructing a commercial snow removal plan, it’s suggested that a detailed, step-by-step guide is written out and followed unfailingly. Moreover, you may want to consider documenting adherence to your plan; this will prove beneficial should a legal accusation arise. Purchase all necessary equipment and supplies and service any snow blowers before winter. Clearly define responsibility regarding snow removal in any leases involved with your commercial property. Keep an eye on weather predictions. Pre-treat surfaces when snow or ice is expected. Check for any leaks in gutters and downspouts that could result in dangerous ice patches. Remove ice and snow from all sidewalks and driveways surrounding your property. Do not let snow accumulate to more than 3 inches. Confirm that your facility has proper lighting. Make routine inspections of your property throughout the day. An efficient and convenient way to prevent ice and snow accumulation during winter weather is Summerstep Snow Melting Mats. Summerstep Snow Melting Mats can reduce the need for time and labor intensive snow removal and the use of harsh chemicals. Summerstep Snow Melting Mats are designed to be outside throughout the winter and can be custom designed to fit any location. With Summerstep Snow Melting Mats, you can keep your property accessible and running smoothly during even the harshest winter months. Isn’t it amazing what technology allows us to do? New developments elevate and simplify daily tasks and open doors to new possibilities. Today, WiFi technology allows us to connect with essentially any device or appliance that turns on and off and control and monitor it remotely. A popular example of this application is wifi temperature monitoring. In a personal setting, we can control and monitor our home thermostat from our smart phones. This remote, direct control over home temperatures allows for increased efficiency and reduced cost in home power. In an industrial setting, WiFi temperature transmitters (also called WiFi temperature sensors, monitors or loggers) save time and prevent down time and money loss by simplifying temperature control and preventing damage caused by extreme temperature fluctuations. The Smart Temperature Controller from Powerblanket connects with temperature control devices and allows users to monitor and control temperature settings from a smartphone or tablet. Users receive notifications when temperatures rise or fall outside of specified limits; this means you can address temperature issues before they lead to costly damage. Additionally, the Smart Temperature Controller features the Beacon Controls Portal, a simple to use interface that makes temperature monitoring from a computer, iOS or android device fast and easy. If you are looking to simplify and make the use of your temperature control devices more efficient, consider using the Beacon Smart Temperature Controller from Powerblanket. We purchased a house in 2015 with the intention of doing a full remodel. We had never done this before, but armed with ideas and a great contractor, we started on January 4, 2016. That time of year is an awesome time to remodel because subs are looking for work and the project, if planned well, will move quickly. That time of year is not-so-awesome if you are living in the remodel, which we were. The contractors demoed the kitchen on January 4 and I did not have a place to cook again until early March. I didn’t think this would be that big of an obstacle because I am creative, and I had a barbecue–I planned to grill all winter. Little did I know, propane freezes, and this winter would be one of the coldest on record for Utah. Needless to say, my winter grilling plan did not work and we ate out a lot. I wish I had known more about propane and about Powerblanket propane tank heaters. Propane tanks can freeze while in use. The colder it is outside, the lower the pressure will be in your tank; conversely, the higher the temperature, the higher the pressure. The liquid propane volume is directly related to its temperature. When the ambient temperature is very cold, especially below zero temperatures, there may not be enough pressure in your tank to keep your system/appliance working properly. There is not enough heat to keep the molecules active, and the faster the molecules are moving, the higher the tank pressure. Propane tanks sizes vary by need and application. Consult the chart below for the propane tank size you need. Powerblanket Lite PBL05 has recently been ranked at #5 in the 2017 wiki of the best heated buckets. If you store food or industrial supplies in 5-gallon buckets, you’ve dealt with the stringent temperature storage requirements. It can be difficult to regulate temperatures and stay within temperature ranges for heating and storage requirements. By using an effective heating solution like bucket warmers from Powerblanket, certain foods and materials will last longer and be more effective. In turn, this saves you time, hassle, and money. Powerblanket bucket heaters are superior when compared to conventional heating and warming methods. Process Heating Engineering: Pumps Too Hot? Valin Corporation is a leading technical solutions provider for the technology, energy, life sciences, natural resources, and transportation industries. They came to Powerblanket with a process heating engineering dilemma, and Powerblanket world-class engineers came up with a solution. What was the heating dilemma? Valin’s problem centered around the oil and gas industry. Pumps were getting too cold and shutting down, slowing production and wasting time and money. They had tried to employ EHT to solve the problem; however, this got too hot and melted the rubber portion on the pump. Ultimately, they needed heating blankets that were C1D2 certified with self-regulating thermostats. This became a custom process heating engineering project because of the pumps’ varying shapes and sizes and because of the very specific C1D2 requirements. How did Powerblanket create a solution? The Valin field site sales manager offered key information and measurements to ensure Powerblanket engineers could create a solution with a good fit for each pump. After Valin tested the initial blankets for form and fit, we made minor modifications for the final order and provided a pricing level that met the end-item budget. Each pump had a heating blanket to meet C1D2 specifications that also contained a self-regulating thermostat. Valin no longer worries about pumps/stators freezing and shutting down operations. The blankets will not get too hot or damaging rubber rings on pumps. 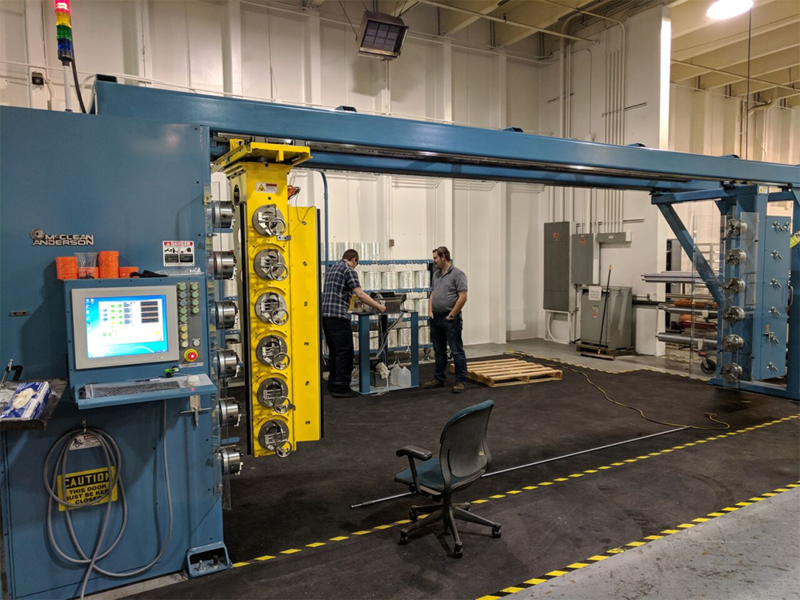 Because of this process heating engineering solution, Valin can install their blankets and rest easy about the efficiency and safety of their operations. Often, when your industry is unique, there is not a ready-to-ship solution for your specific process heating needs. Powerblanket’s process heating engineering uses ingenuity and Powerblanket technology to solve the temperature needs of many different companies throughout many different industries. Powerblanket is currently working with Tahitian Gold, vanilla producer of choice for master chefs and culinary institutions, gourmet cooks and food connoisseurs, to find the best process heating engineering solution for their vanilla beans. Tahitian Gold has vanilla beans that require heating before processing, and they do not currently have an effective means for consistent, safe heating. Right now, Tahitian Gold is testing various Powerblankets for buckets, barrels, totes and even a flat blanket to determine which process heating solution is most effective for their current temperature needs. While this is not an overly complicated process heating dilemma, the mass of the beans and uncontrolled air gaps, along with awkward sizes and complex temperature and wattage requirements cause problems with consistent heating. Hence, the reason for testing multiple Powerblanket options to ensure optimal results. Each Powerblanket option provides concentrated heat to help consistently heat the beans throughout each container. Powerblanket will approach your process heating needs with creativity built around your heating requirements. Are you choosing process heating equipment vendor? You may be experiencing some anxiety and option overload. A lot of time has probably been dedicated to determining the details of your requirements, researching options, getting bids, and analyzing those proposals. The question now is, “Which process heating equipment vendor is best for you?” How do you make this decision? Powerblanket has some suggestions. If you really want to know who you are working with and what kind of product they produce, go to where the magic happens. Spend a day or two getting to know the staff and the facility. It is worth the time. There is really nothing that can replace old-fashioned, face-to-face interaction. You have probably had plenty of interaction with the sales personnel, but now you can talk directly to the engineers who will build, test, implement and service your process heating solution. Get a feel for the atmosphere of the work environment and the relationship of the team. Happy employees usually indicate that you will also be a happy customer. Ask to see the testing facilities. This will give you a chance to observe the tools they use and the team that conducts tests. Watching their problem-solving process can give you great insight to the actual expertise of the team. Don’t be afraid to ask questions during your observations. When choosing process heating equipment vendor, go visit another company that uses this vendor’s product. Ideally, you will want to be pointed in the direction of a company that works in an industry like yours with heating equipment similar to your needs. You don’t typically buy a car without a test drive. This process will allow you to see the equipment in action. Talk to the staff about reliability, consistency, and quality output. Ask about the vendor’s customer service, reliability, and responsiveness. How does this vendor handle setbacks? How did this vendor work with your industry standards? If a problem arose, how quickly and efficiently did they respond? Did they do the right thing, even if it wasn’t the convenient thing? Do they stand behind their equipment? After all this hands-on research, you should have a new perspective on the original bid. Choosing a process heating equipment vendor becomes much easier after you have invested the time and effort to see and hear about how this vendor really works. Now proceed with confidence. Often, when your industry is unique, or your product very specialized, there is not an off-the-shelf solution for your specific process heating needs. In these cases, Powerblanket engineers take a hands-on approach to creating a custom solution just for you. Powerblanket engineers use their ingenuity and Powerblanket technology to solve the temperature needs of many different companies throughout many different industries, saving time, money, and/or headache for our clients. With Powerblanket custom process heating solutions, you’ll benefit from quick turn-around times. Our products are certified to universal safety standards and are easy to install, use, and store. 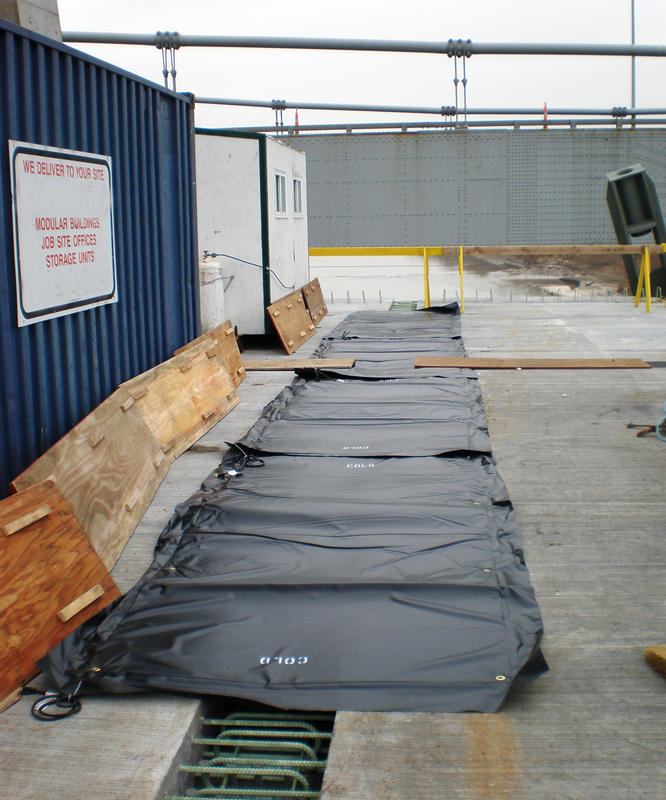 If you can build it, produce it, or store it, Powerblanket can cover it and protect it. Powerblanket is excited to introduce the new North Slope portable water chillers for industrial process cooling. If you need industrial-level cooling to keep your processes running smoothly, or you’re protecting critical materials against extreme heat, check out North Slope portable water chillers. This portable water chiller offers precise temperature control, down to 20 °F. You can set your desired temperature and acceptable set points. The entire system is self-contained and requires only a power connection. You don’t have to worry about making room for a large refrigeration system. North Slope portable water chillers for industrial process cooling have a minimal footprint that will not interrupt the layout of your current system. These portable water chillers are equipped with a continuous duty, non-ferrous pump and boast the most advanced active refrigeration circuit available. The high quality compressor is the magic behind the chiller’s efficiency and reliability. The North Slope portable water chiller combined with the Powerblanket ICE circulation blanket is ideal for process cooling and other industrial cooling applications. Draw heat away from the container and lower the temperature of the contents within. Combine the North Slope portable water chillers for industrial process cooling with the Powerblanket ICE Circulation Blanket to maintain temperatures as low as 20°F/-7°C. At the end of the day, it is important to know that the cooling solution in place will do it’s job. Powerblanket’s world-class engineers create total process cooling systems that are reliable, efficient, and effective. When it comes to industrial process cooling, materials make all the difference. Powerblanket ICE blankets are made with a rugged white vinyl that provides robust insulation. The white reflects the sun’s rays and other heat to keep the contents cool. Along with the rugged outer shell, these blankets use Powerblanket’s patented heat spreading technology in reverse to pull the heat from the contents and the container and then transfer it into the blanket. Powerblanket ICE total process cooling solutions are portable, requiring only 120VAC for operation. Keeping critical materials at safe temperatures has never been so easy. Powerblanket ICE industrial process cooling works especially well for transportation, manufacturing, spray foam, motor, fermentation, welding, and biomedical industries with products ready to ship for tank, drum, and tote cooling. When the Powerblanket ICE circulation blanket and North Slope portable chiller are used together, you can achieve precise temperature control, down to 20 °F. This combination is ideal for industrial process cooling because it is small and portable while still doing the job at hand. Your state-of-the-art system is producing unacceptable high heat along certain areas of the process. You have already invested a substantial amount of money into the system and are, in no way, interested in pulling the whole thing out to solve this high temperature dilemma. When materials or systems overheat, you are risking damage to the materials and/or the equipment itself. Industrial cooling solutions can be big and expensive. Powerblanket specializes in retrofitting systems to solve high temperature dilemmas. Total process cooling is no longer a daunting endeavor. You can do it with Powerblanket ICE. 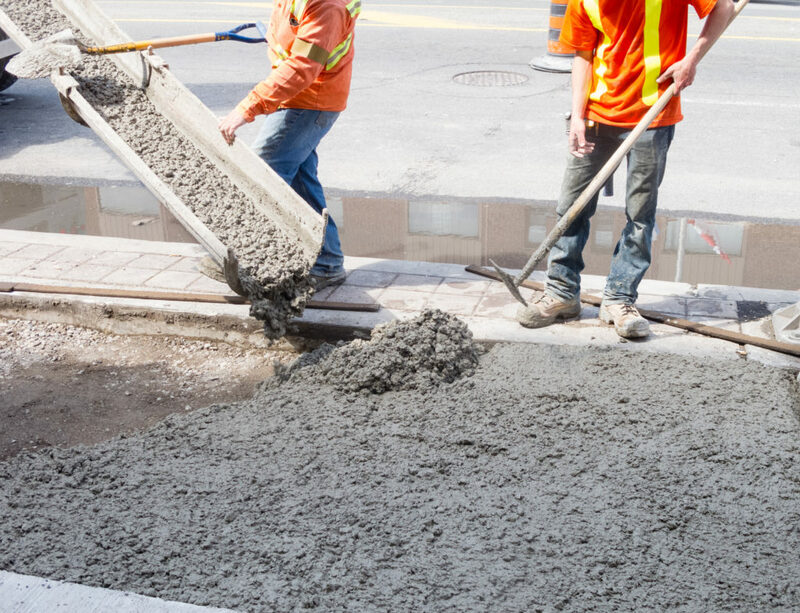 Hot weather concreting problems are most often encountered in the summer; however, any condition that increases curing rates and strips the concrete of moisture is considered hot weather concreting. With temperatures rising and summer approaching, attentions shift from protecting concrete from the cold to concreting in hot conditions. When pouring concrete in hot weather, special procedures should be followed for proper mixing, placing, finishing, and curing. High ambient temperatures, high concrete temperatures, low relative humidity, and/or high winds impair the quality of freshly mixed and recently placed concrete (Hot). Pouring concrete in hot weather affects laboratory test results, showing that higher temperatures affect the compressive strength gain of hardened concrete. Even though concrete poured in hot weather will produce higher early strength but as time goes by, the ultimate strength will be lower than expected (Rodriguez). Hot weather concreting causes increased setting rates and rapid water loss. Shrinkage and cracking are usually associated with hot windy weather. The major side effect of faster curing and water loss is decreased overall concrete strength. It is critical to prevent moisture from evaporating from the concrete surface. The evaporation rate removes surface water necessary for hydration , and thermal cracking may result from rapid changes in temperature, ie. pouring concrete on a hot day followed by a cool night (CIP 12). Proper mix design can compensate for these conditions, and in combination with protective measures to prevent rapid evaporation, quality concrete can be poured in hot temperatures (Rodriquez). Adding water can increase concrete workability. However, adding water beyond the amount required by the approved mix design increases the water to cement ratio. This, in turn, can result in decreased compressive strength and an increased chance of cracking (Hot). Use mix designs that are less susceptible to the effects of hot weather. The use of low-heat-of-hydration cement and certain admixtures (such as hydration retarding and/or water-reducing admixtures) are two standard approaches. Keep concrete as cool as reasonably possible. ACI 305R does not state a maximum “as-placed” or “as-delivered” concrete temperature, but 90° F is commonly used. Substituting chilled water or shaved ice for a portion of the required mix water can help. Limit the amount of time between loading the concrete at the plant and placement/finishing at the site. Limit water addition at the job site, except to adjust slump upon arrival (when permitted by mix design). Avoid or limit hydration accelerating admixture use. Schedule large concrete pours in the early morning or evening when temperatures are cooler and have the manpower available to complete the job as quickly as possible. Use temporary wind screens and water misting nozzles to reduce surface moisture loss (Hot). Consider using a concrete cooling blanket to both retain moisture and protect the concrete’s surface from high ambient temperatures. Powerblanket ICE® is portable cooling equipment that will keep newly poured concrete safe from heat. Portable, insulated, and efficient, Powerblanket ICE effectively regulates the temperature of concrete under both regular and hot conditions. The Powerblanket Ice Circulation Blanket is combined with either a cooler or chiller to achieve optimum results. The Circulation Blanket draws heat to the blanket while also cooling the concrete. Blankets use Powerblanket’s patented heat-spreading technology in reverse–the cooling blanket draws heat away from the drum and lowers the temperature of the concrete. Rodriguez, Juan. “Pouring Concrete in Hot Weather: Tips and Tricks”. The Balance. 5 May 2017. Various materials are packaged in compressed gas cylinders such as atmospheric gases, fuel gases, and refrigerant gases. Below is a resource for specialty gas cylinder sizes. When the temperature drops, maintaining optimal pressure in a liquefied gas cylinder can be incredibly difficult. Cold external temperatures prevent the liquid from vaporizing, which makes your gas cylinders unusable because of low pressure. Powerblanket offers a variety of gas cylinder heaters for increasing vaporization of propane, butane, carbon dioxide, anhydrous ammonia, refrigerants and other compressed gases. Powerblanket gas cylinder heaters provide a uniform barrier of heat across the entire cylinder. Optimize performance when the heat is high with a small industrial chiller. Do you need freezer-level chilling with continuously circulating fluid as low as 20° F? Are you working hard to protect critical materials against extreme heat? Do you have a process that unexpectedly needs cooling? The small industrial chiller unit is an effective solution for all of these situations. These small chiller units are equipped with a continuous duty, non-ferrous pump and boasts the most advanced active refrigeration circuit available. The high quality compressor is the magic behind the chiller’s efficiency and reliability. Because of the stainless steel reservoir with fully welded stainless steel couplers, this small industrial chiller is much higher quality than the competition that uses plastic reservoirs. Liquid line sight glass allows for easy assessment of fluid levels. The North Slope Chillers fluid chiller offers precise temperature control, down to 20 °F. Set temperatures and set points. Self-contained and requiring only a power connection, you can enjoy the ease of a small chiller unit that comes on 4 casters for easy mobility and a minimal footprint. The small industrial chiller combined with the Powerblanket ICE circulation blanket is ideal for process cooling and other industrial cooling applications. Draw heat away from the container and lower the temperature of the contents within. When you combine the North Slope small chiller unit with the Powerblanket ICE Circulation Blanket, you can maintain temperatures as low as 20°F/-7°C. This combination is ideal for process cooling applications while also being small and portable.